Mix all of the ingredients together in a bowl, except the roti bread. Warm the roti and cut into quarters. 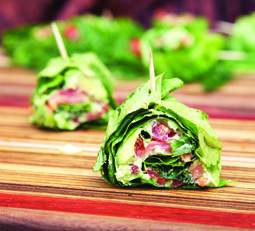 Place spoonfuls of avocado mixture into the pockets of bread, or wrap up and serve in the lettuce leaves.